Perhaps you’ve sang along to the nursery tune “Old MacDonald Had a Farm” one too many times as a child. With a quack quack here and a quack quack there—have you ever noticed how often we have used a certain sound in writing and literature for effect? You might have come across many words that represent the sound of an animal or thing while reading a storybook or novel. These words are known as onomatopoeia examples that authors and novelists often use in an attempt to put sounds into their words. But what really is onomatopoeia and why do most (if not all) writers apply it in literature? To find out more about this figure of speech, let’s discuss everything down from the basics. 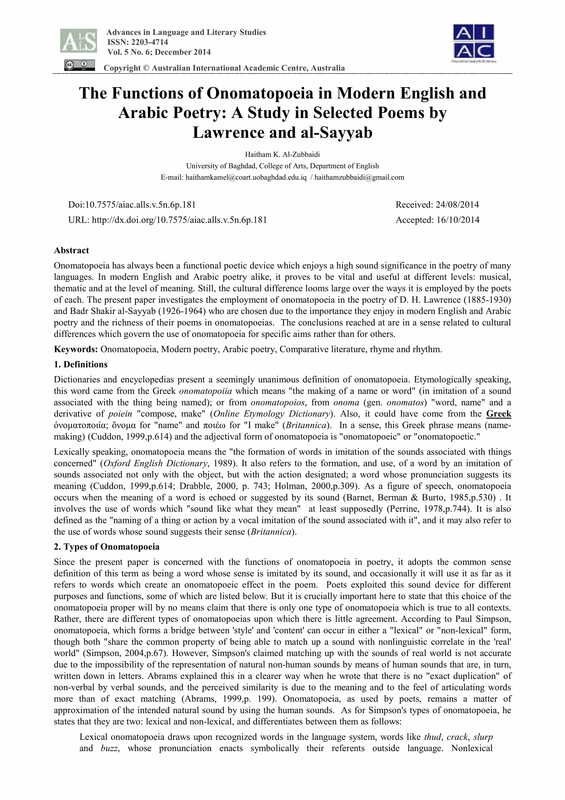 Onomatopoeia, which is pronounced as “AH-nuh-mah-tuh-PEE-uh,” refers to the figurative terms that poets and writers use to convey sound. Here, the word itself imitates the sound it makes, and somehow we “hear” it just as we have read it. You may also see parallel sentences. 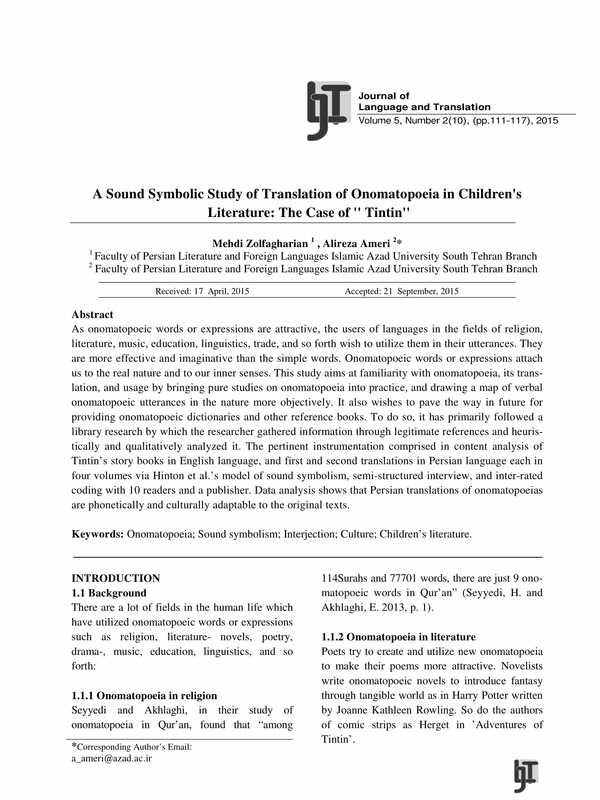 The term “onomatopoeia” is derived from the combination of two Greek words: onoma, which means “name,” and poien, meaning “to make.” If taken literally, onomatopoeia simply means “to make a name (or sound).” Unlike other figures of speech, such as various simile and metaphor examples, onomatopoeic words mean nothing more than the actual sound it makes. The word crash, for example, is often used as a sound effect to denote a collision between two or more objects, but it is also very useful in making a person’s story appear a bit more expressive and vivid than normal. Simply put, some words are simply applied to add a poetic affect to a literary piece. But even then, you should remember that words for sounds are not always defined as onomatopoeia. Although onomatopoeia is often used to add meaning in writing and storytelling, it’s not unusual to encounter people who like to use onomatopoeic words as everyday expressions. The buzzing bee flew straight to my dog’s ear. The dictionary fell to the ground with a loud thump. She fell into the lake with a knowing splash. The child was afraid of the roaring tiger. The rustling leaves made my hair stand. 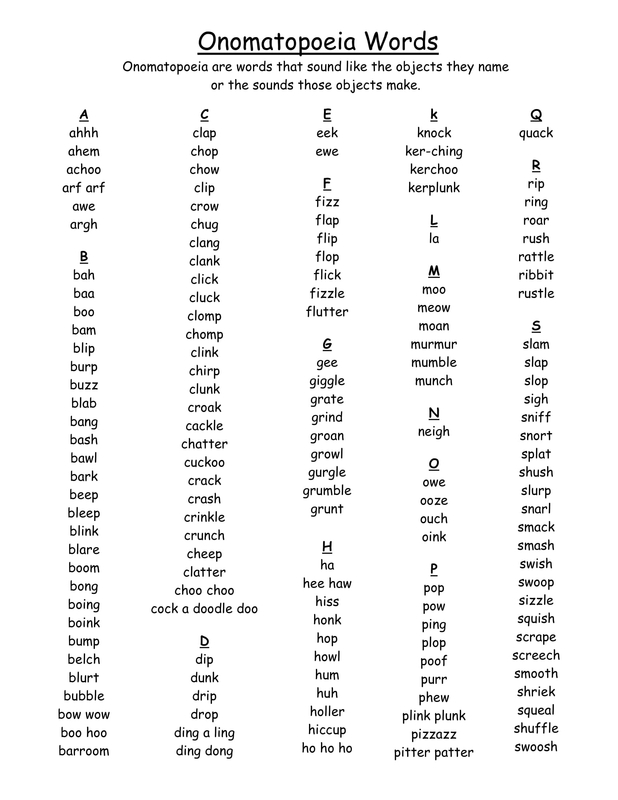 The different animal sounds that we often hear or use (like in “Old MacDonald Had a Farm”) are considered as examples of onomatopoeia as well. It’s easy to recognize these sounds even without being used in a sentence, as these are the typical sounds produced by the subject they represent. 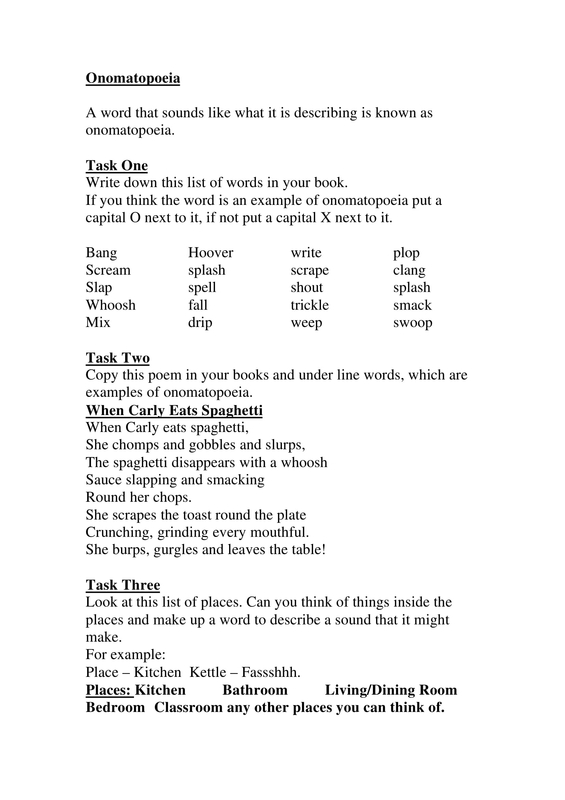 It’s common practice for writers and poets to employ onomatopoeia in their works. This figure of speech often gives a unique rhythm to the text, making it interesting enough to entrance an audience. It is a fun, linguistic tool utilized in literature, songs, and advertisements to create a catchy effect that readers and listeners can quickly recall. You may also see balanced sentences. And I just can’t disagree. I get a feeling in my heart that I can’t describe. . .
And whirr when it stood still. Words that have something to do with water or any liquid typically begin with the letter combinations sp- or dr-, while words which indicate a small amount of liquid often end in -le. Some examples include the words bloop, spray, sprinkle, squirt, dribble, drip, and drizzle, just to name a few. You may also see complex sentences. She jumped into the water with a huge splash. I don’t think an umbrella would be necessary. It’s just a drizzle. The ketchup squirted out of the bottle. My mom asked me to spray some water on her prized petunias. The coin fell to the river with a plop. Sounds that are made from the back of the speaker’s throat tend to make a sound with a gr- letter combination at the beginning. On the other hand, words that actually come out of one’s mouth, specifically through the lips, tongue, and teeth, usually begin with mu-. Examples of words conveying a vocal sound include giggle, growl, gurgle, grunt, murmur, mumble, bawl, belch, blurt, and chatter. You may also see preposition sentences. She started giggling from inside her closet. My teeth were chattering while we waited for the bus to arrive in the freezing cold. He murmured the words, “I’m sorry,” but she didn’t think he was sincere. I mumbled the answers to the exam to the person in front of me. I was in a panic, so I blurted out the truth to my parents. Collisions often occur between two or more objects. 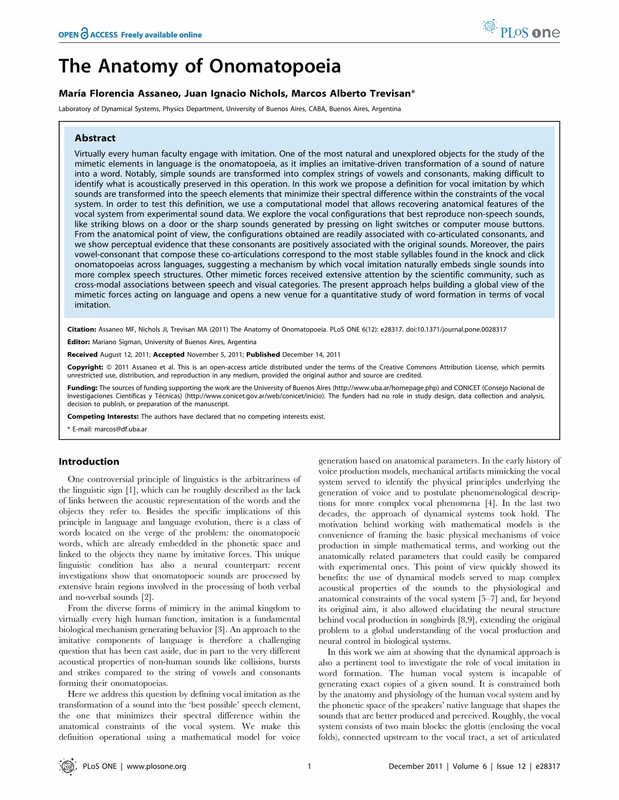 This is usually signified by sounds that begin with the letter combination cl- for metal or glass object collisions, and those that end in -ng for sounds that resonate. As for words that describe dull sounds such as soft yet heavy objects hitting wood or earth, they usually begin with th-. Some of the most common examples of onomatopoeic words with collision sounds include bang, bam, clang, clank, clap, click, clink, ding, jingle, screech, slap, thud, and thump.You may also see exclamatory sentences. As the dog went up the pile of boxes, kerplunk it collapsed. The police car made a turn in a busy freeway with a loud screech. My roommate fell off his bunk bed in the middle of the night with a thud. You can easily purchase just about anything online with a click of a mouse. I didn’t notice the warning sign and accidentally bumped my head on the extremely low door frame. Although air doesn’t exactly sound like anything, it does make some sort of sound once it blows through something or if a thing rushes through the air. Words that are associated with air often begin with wh-, contain the letter w, or end with -sh. 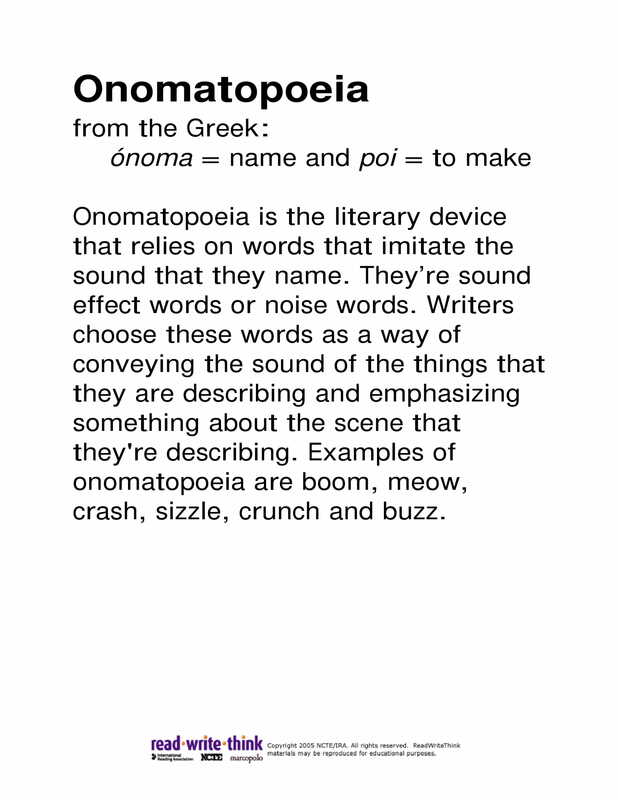 Words under this category of onomatopoeia include flutter, swoosh, gasp, swish, whiff, whoosh, whizz, and whip. You may also see preposition sentences. The eagle fluttered its wings before it flew away from us. The ball whizzed past my ear and into the net behind me. Swoosh, the basketball went through the net so smoothly even the referee couldn’t believe it. When the host admitted to announcing the wrong winner, there were multiple gasps from the audience. She took a whiff off her ex-boyfriend’s favorite sweatshirt before throwing it away. Believe it or not, but animals are known for speaking different languages in other countries as well. You might hear some chickens make a cluck-cluck sound, while others might claim that it’s a bok-bok, tok-tok, kot-kot, or cotcotcodet sound. Either way, animal sounds are easy to distinguish thanks to the number of nursery rhymes, story books, and comics we’ve heard and read. Onomatopoeia examples that are categorized as animal sounds include arf, bark, buzz, tweet, meow, cheep, purr, ribbit, and warble. You may also see complete incomplete sentences. When the owl hooted, I nearly peed in my pants. The sound of wolves howling at the moon always creeps me out. Our neighbor’s dog just won’t stop barking at our tree. The snakes hissed menacingly at the animal control officers. The bird outside my window starts chirping just when the sun starts to rise. You must be wondering, is it really necessary to employ onomatopoeia, or any figurative language for that matter, in one’s writing? Though writers are often given the freedom to express themselves creatively with their own words, they’re also encouraged to paint a mental picture of what they’re trying to convey through various expressions. 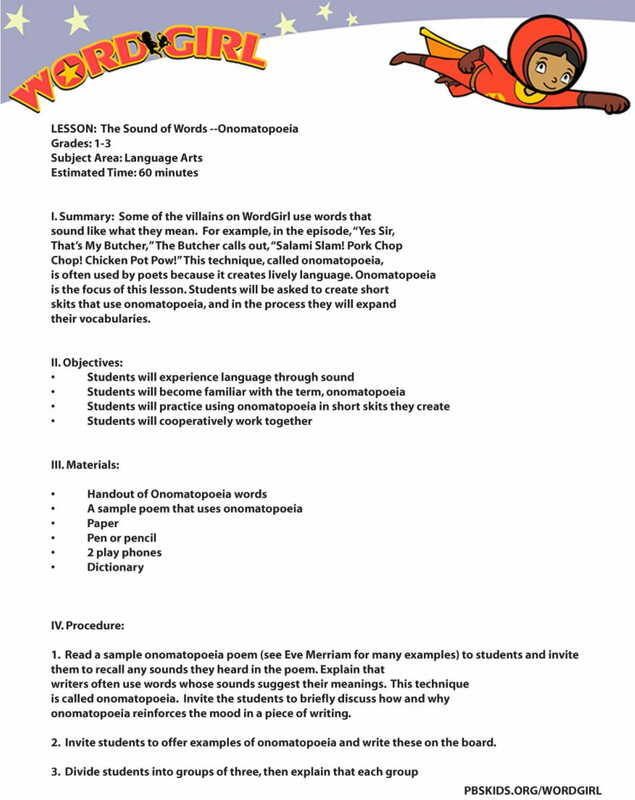 Onomatopoeic words have the ability to capture a sound and bring a language to life in a reader or listener’s imagination. 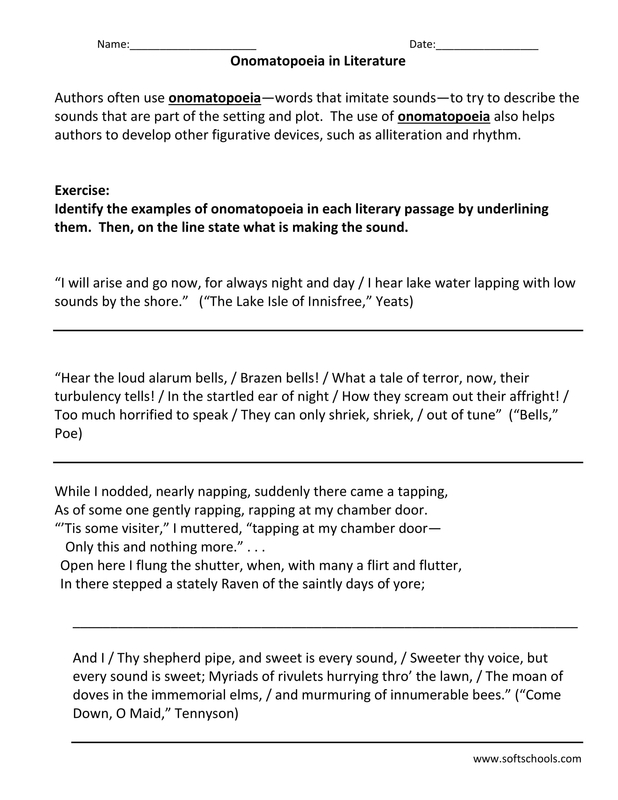 This literary device helps an audience hear the sound of the words they reflect. The beauty of these onomatopoeic words lies on how they can awaken one’s senses with the simple sound of an animal, object, or action. You may also see bridge sentences. If you think about it, “The gushing wind hit her skin” is a more meaningful description as opposed to just saying, “The wind hit her skin.” The latter seems much too plain and simple to actually give a reader something to ponder on. It’s almost like reading a thesis statement made by your college professor, who also happens to care less about flowery words and figurative language. Without the use of onomatopoeia, the expression does not possess the same emphatic effect that would allow it to portray an idea powerfully enough to interest readers. In short, onomatopoeia builds a different kind of emphasis that an ordinary expression can never do. You may also see compound sentences. 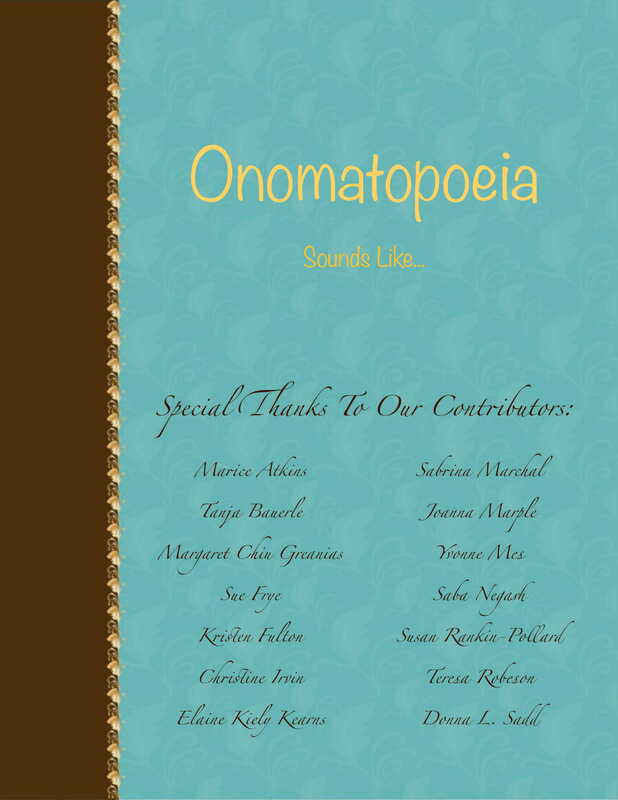 Onomatopoeia is a widely used literary device that imitates the natural sound of a thing or event. By creating a sound effect to mimic the thing it describes, an author or speaker can easily express his or her thoughts to an audience in a more accurate and creative manner. Learning about onomatopoeic words will bring you one step closer to refining your writing skills to offer an audience a better reading experience. So the next time you find yourself writing a special piece, try using onomatopoeic words of your choice; you’d be surprised by how entertaining these figurative terms can be. 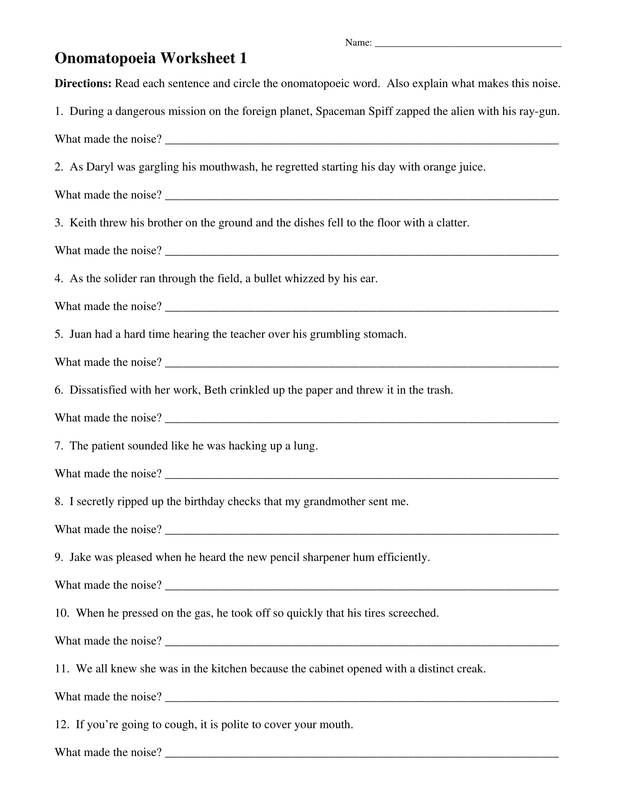 You may also see interrogative sentences.